Eight Todd & Weld attorneys are listed in The Best Lawyers in America 2017, including one for the first time. Founding Partner Howard M. Cooper was named 2017 Boston Civil Rights Law "Lawyer of the Year." Only a single lawyer in each practice area in each community is honored as a Lawyer of the Year. For the 2017 edition of The Best Lawyers in America, 7.3 million votes were analyzed, which resulted in more than 55,000 leading lawyers being included in the new edition. Lawyers are not required or allowed to pay a fee to be listed. Corporate Counsel magazine has called Best Lawyers "the most respected referral list of attorneys in practice." 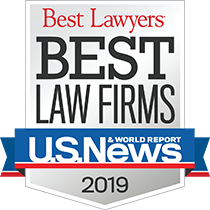 Mr. Catalano, selected to Best Lawyers in America for the third year in a row, represents victims of catastrophic injuries in medical negligence, product liability, auto accident, class action, and other personal injury cases. 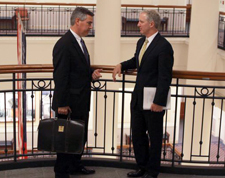 A partner at the firm, Mr. Catalano has obtained on behalf of clients numerous multi-million dollar results in cases in Massachusetts and nationally. He is President of the Massachusetts Bar Association (as of Sept. 1, 2016). Mr. Cooper, first selected in 2006, is a founding partner of Todd & Weld. He routinely represents clients in corporate, closely-held business, real estate, partnership and franchise litigation. Mr. Cooper also regularly handles significant civil rights and First Amendment matters that are often of public significance. In criminal matters, Mr. Cooper handles white collar criminal cases, including the defense of organizations and individuals targeted for prosecution in federal and state court in false claim, environmental, tax or public corruption investigations. Mr. Meier, selected to Best Lawyers for the second year in a row, specializes in criminal defense and government investigations. A partner at the firm, Mr. Meier represents a full range of clients, including executives and companies faced with internal corporate fraud or other white collar investigations; public officials and other professionals under investigation for alleged corruption or ethical violations; private individuals alleged to have committed serious felonies, sexual assaults, or death-related crimes; and students facing disciplinary proceedings at academic institutions. 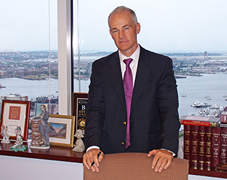 Mr. O'Hara, a first-time honoree, focuses primarily on complex business litigation and employment law disputes in state and federal courts, and in commercial arbitration. A partner at the firm, Mr. O'Hara has represented plaintiffs and defendants in whistleblower and qui tam cases, and has achieved significant recoveries on behalf of individuals. His employment law practice is wide ranging, and includes advising companies and individuals on hiring, termination, investigations, wage and hour issues, company handbook/policies, state and federal employment laws, and non-competition and non-solicitation agreements.